Many of us have taken a risk to work at a startup. We left large, well-established organizations not just for weekly fruit baskets and the Instagrammable #startuplife offices, but more because we fiercely believe in Dialogue’s telemedicine mission. The daily patient testimonials about how we are helping Canadians get access to great quality virtual healthcare empowers us and propels us further. Our clients’ positive feedback allows us to celebrate our wins as a single team. But on one particular Thursday, we had no idea we were to be honoured by not one, but two companies for all our hard work! 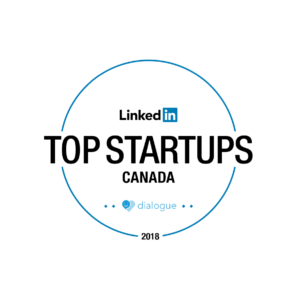 First, LinkedIn announced its top 25 most sought-after Canadian startups. Everyone at Dialogue couldn’t have been more pleased to have made this prestigious list, alongside our clients Wealthsimple, Alayacare, League, and so many other inspiring organizations. The selection process was based on 4 different criteria: employment growth, engagement, job interest, and attraction of top talent. Dialogue’s strength in diversity, its unique onboarding process, its rigorous hiring process and its exceptional healthcare team are only a few of the reasons why we feel we’ve been able to grow our organization exponentially. We have high expectations for one another and our strive for excellence applies not only to our operations teams, but also to our medical team in order to ensure we offer patients the highest level of quality of care possible. The Afternoon Delighted Us Even More! 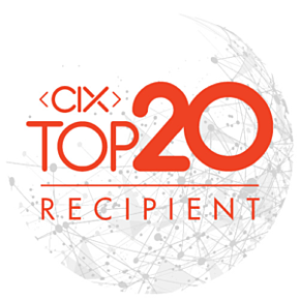 Then, CIX published its list of top 20 Canadian tech companies and we learned that Dialogue was selected! To be recognized as one of the hottest and most innovative organizations in tech is a testament to our product and tech teams. Our team of developers is one of the largest working at a telemedicine company in Canada today. We have the agility to manage four different platforms and to constantly adapt to clients’ needs. Dialogue’s proprietary technology provides us the much-needed flexibility required to proactively innovate daily and be a telemedicine pioneer in Canada. Furthermore, our SOC2 compliance provides patients with peace of mind, knowing that their highly confidential information is safe with us. We are thrilled to have our efforts recognized by leaders such as LinkedIn and CIX as this validates our daily mission to work as a unified team within the digital healthcare revolution. Would you like to learn more about how you can help us further revolutionize healthcare? Join our team! Be sure to check our available positions and apply today.